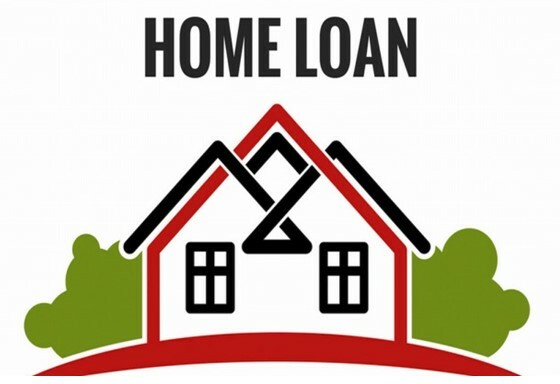 Home loan Cleared All Doubts for Home Loan Today! Cleared All Doubts for Home Loan Today! Everyone wants to buy a place that they can call home. But sometimes, you may not have enough cash to buy the house of your choice, which is when you opt for a home loan. A home loan is a great option if you want to buy an expensive apartment or villa and would like to pay for it later, over a period of time. However, if your mind is flooded with doubts and you're unsure about taking a home loan, then it's better to clear your doubts before going ahead with the loan application. Here's a quick overview of some of the common home loan queries that consumers usually have. How Long Do I have to Wait to Get my Home Loan Approved? This question probably haunts every home loan applicant because some financial institutions can be really slow when it comes to sanctioning home loans. They might pile up the paperwork and make your life even more complicated than it already is. discuss the terms and conditions in detail. How Much can I Avail as Loan Amount? The answer entirely depends on your capacity to repay the home loan. When you apply for a home loan, your lender will thoroughly assess various financial aspects, like your monthly income, net expenditure, income from other sources, and existing debts. For example, if you're capable of paying Rs.18,000 as EMI, given that the loan tenure is 36 months and rate of interest is 12%, then you can only avail a home loan of Rs.5 lakh. If you feel your lender is levying a high interest rate, it's always better to opt for a home loan transfer to another financial institution. This way, you'll end up saving more. Also, to be on the safe side, you should calculate home loan emi before going ahead with your application. How Much do I have to Pay in Down Payment? A bank or NBFC will usually sanction a loan amount that is 40% to 70% of the total value of the property. For example, if a property is worth Rs.50 lakh, you can secure a loan amount of approximately Rs.35 lakh. You have to arrange for the remaining Rs.15 lakh and pay it to your builder or home seller. As soon as you think about buying a house, it's advisable to start saving money for the down payment. Or, if it's feasible, you can take a personal loan and utilise it for this purpose. Will I Get any Tax Benefits on my Home Loan? As per the Union Budget 2016, if you're a first-time homebuyer, you'll get an additional deduction of Rs.50,000 on your home loan interest, provided the loan amount is not more than Rs.35 lakh and the property value doesn't exceed Rs.50 lakh. You're liable to get tax benefits on home loan with the interest and principal amounts. Currently, the tax benefit on interest charges is set at Rs.2 lakh. As far as getting tax benefits on principal amount is concerned, you can apply for a tax deduction under Section 80C of the Income Tax Act. The above answer should have helped you out with some of your home loan-related queries. If you're a lot more clear on what you want now, go ahead and apply for a home loan today. I really appreciate that you have shared the post on the home loans. No Credit Check Home Loans Australia and Short Term Cash Loans Australia kind of services you can get from Basic Finance.